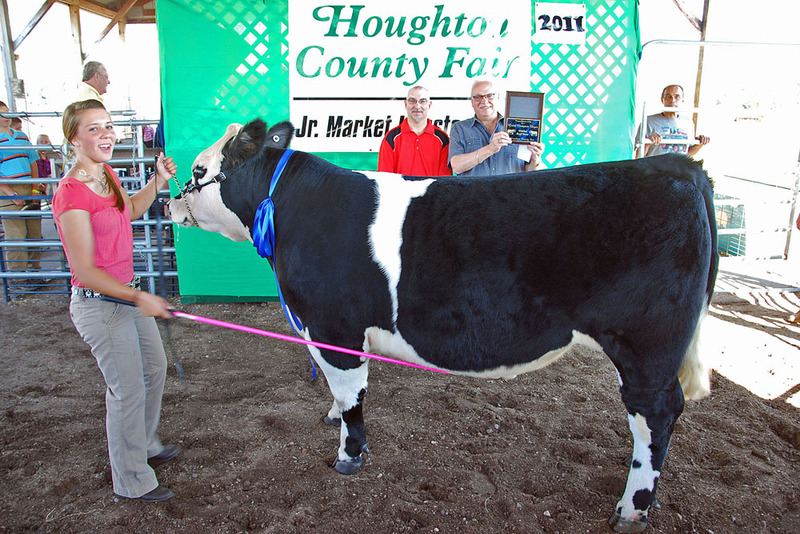 August 25-28 brought the 60th annual Houghton County Fair to the Fairgrounds in Hancock. This year's weather was perfect, and brought out large crowds to view the events and see the T.J. Schmidt & Company Carnival. 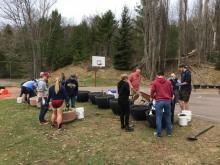 New this year was the Michigan Tech Mind Trekkers exhibition. 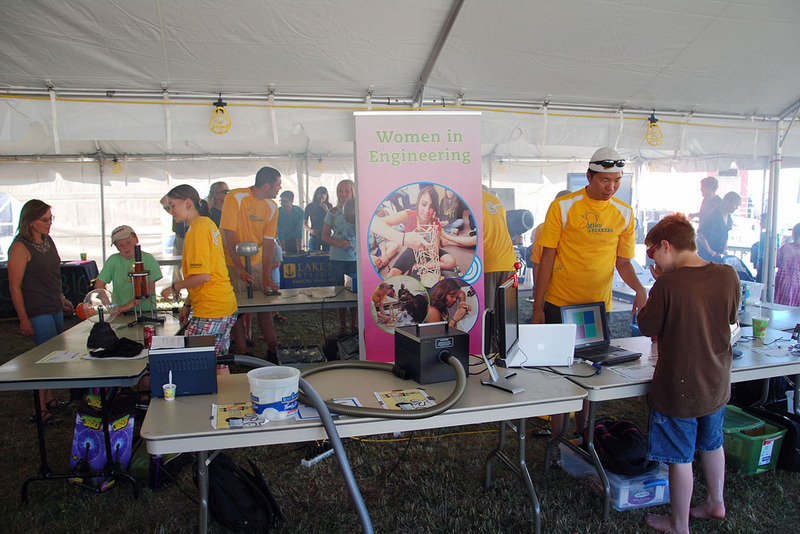 A science/engineering 'hands on' show designed to interest youths in the science fields. 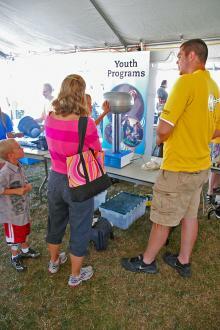 A number of interesting activities were available for experimentation, including demonstrations with liquid nitrogen. This was a first time appearance for the Mind Trekkers. 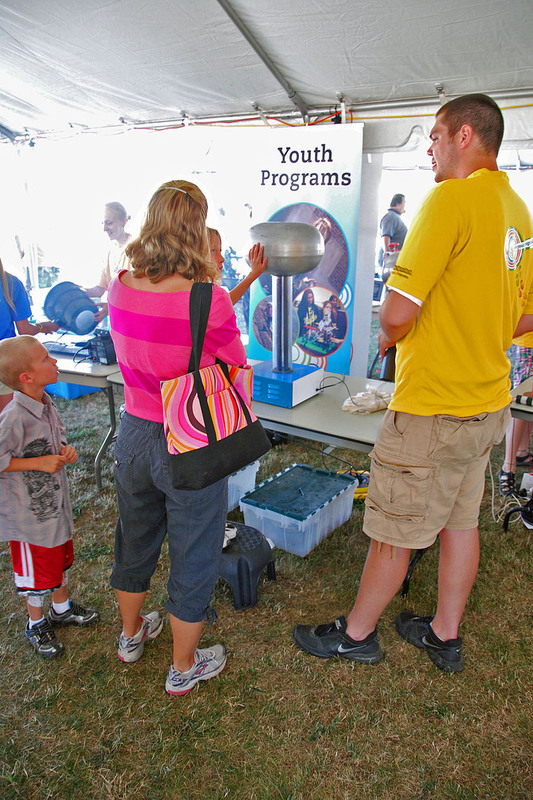 The youngsters also could work with a Van de Graaff High Voltage generator, that created very high voltages at micro amperage level currents. After getting 'hooked up', a look into a mirror showed them how the high voltage was really a hair raising phenomenon. 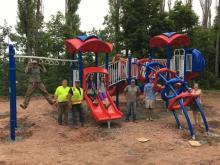 Hopefully, this will become an annual part of the Fair. It is an ideal way to reach and interest local youth in the science and engineering fields. This year was a one day only appearance, on opening day. 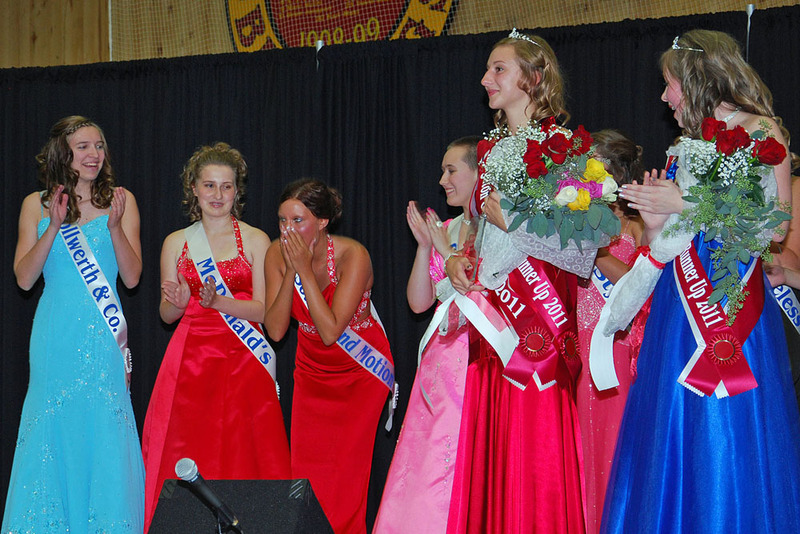 Also on Thursday, the annual Houghton County Fair Queen Contest. Reacting to the announcement that she had won, was Joy Lynn Kinnunen, who did a very humorous skit on Yooper style fishing. Joy Kinnunen is from Atlantic Mine, and is a 2011 Jeffers High graduate. She will be attending Finlandia University this fall. Her parents are Laura Haischer and Gerald Kinnunen. 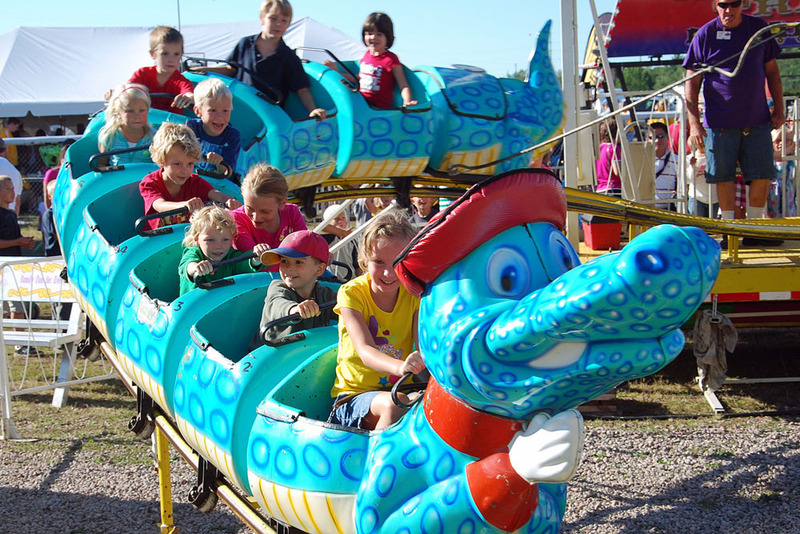 The Caterpillar ride was a popular venue at this year's Schmidt & Company Carnival. 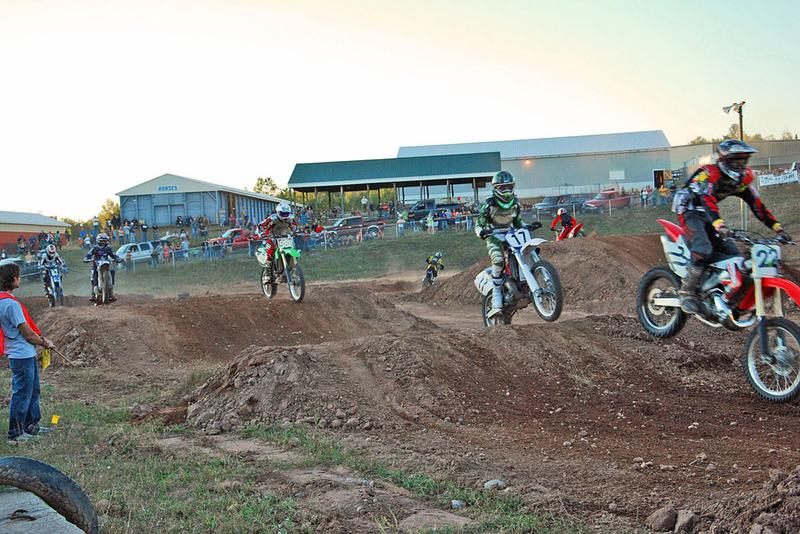 Thursday evening brought the Motocross Event. This is some of the younger riders who will, in a few years, be the senior riders in local events. 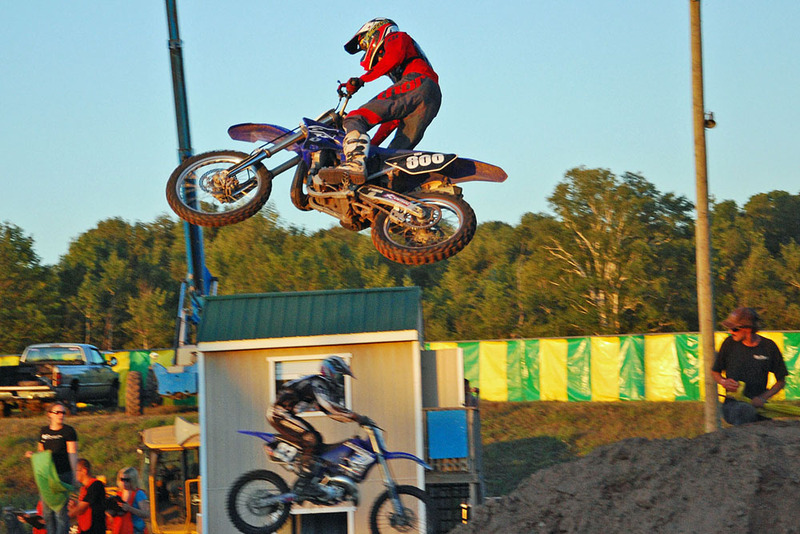 The older more experienced riders take to the air off the big jumps built on the Main Event Arena. 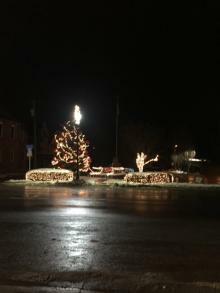 The volunteer grounds crew always does a superb job in setting up the Main Arena for each evenings events. 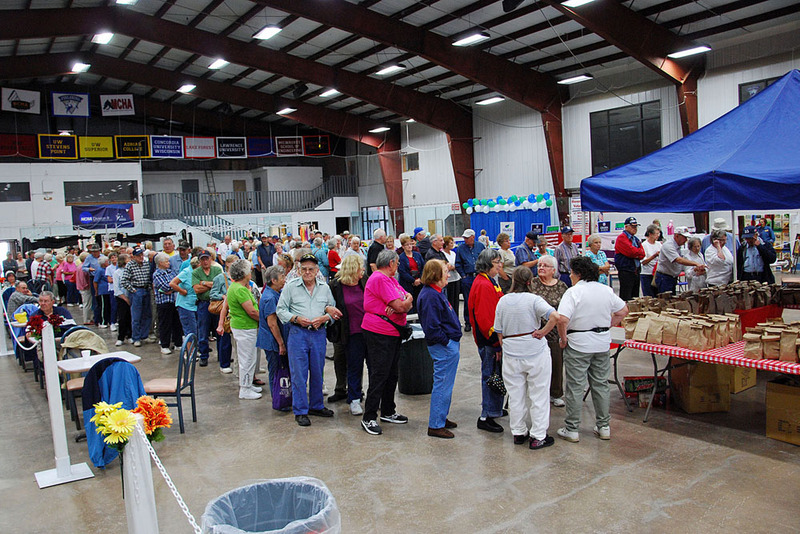 Fridays are Senior Citizen Day at the Fair. All seniors enjoy a free bag lunch, cake desert, a liquid refreshments. 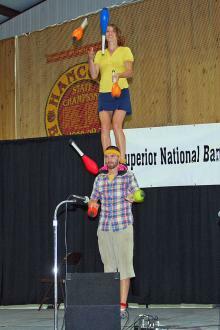 The Cirque de U.P. 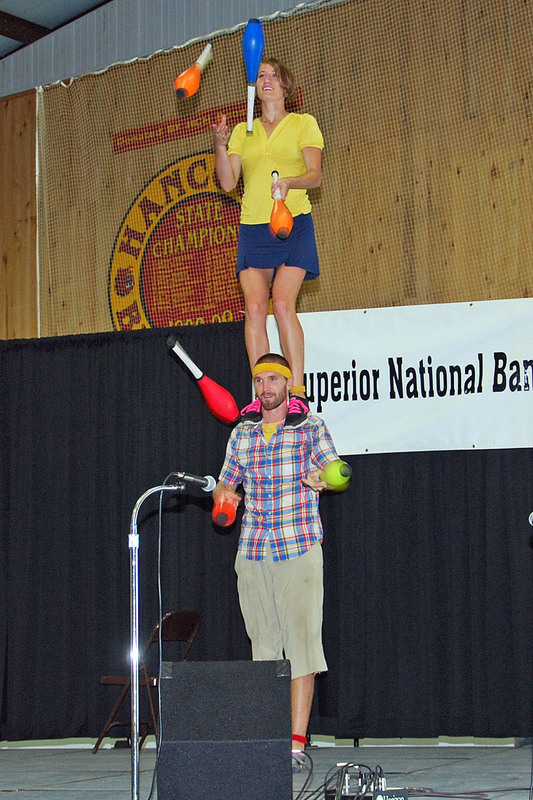 Juggling Act entertained for the crowd. 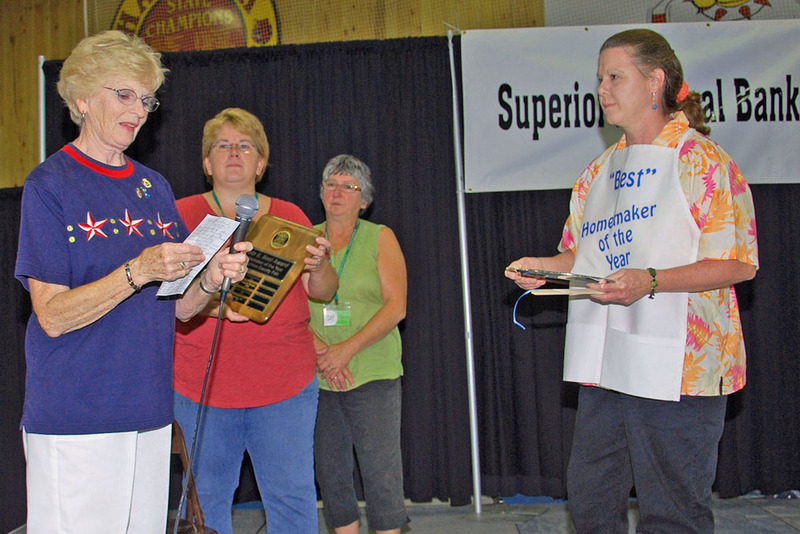 Also at noontime, is the annual Ruth E. Best Homemaker of the Year Awards Ceremonies. Awarded Homemaker of the Year for 2011, was Charolette Silva (right). Announcing the winner is Eileen Stordahl, of Family and Community Education. 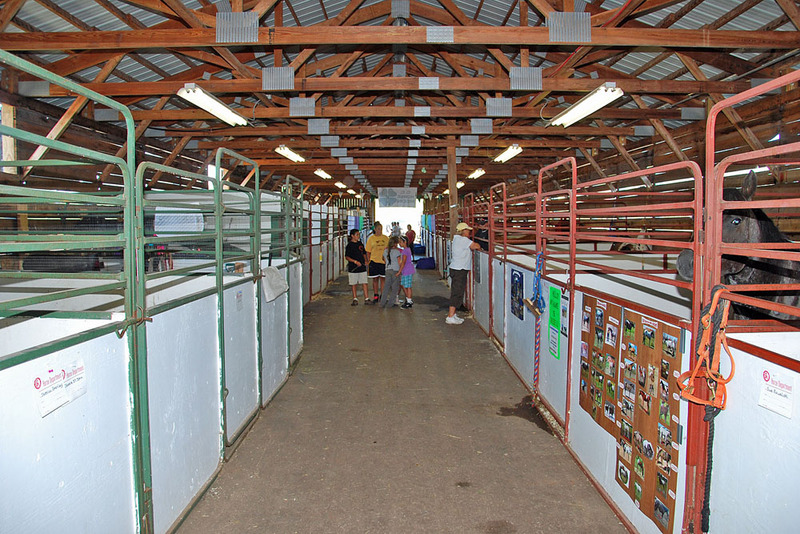 A view of the horse barn area at the Fairgrounds. 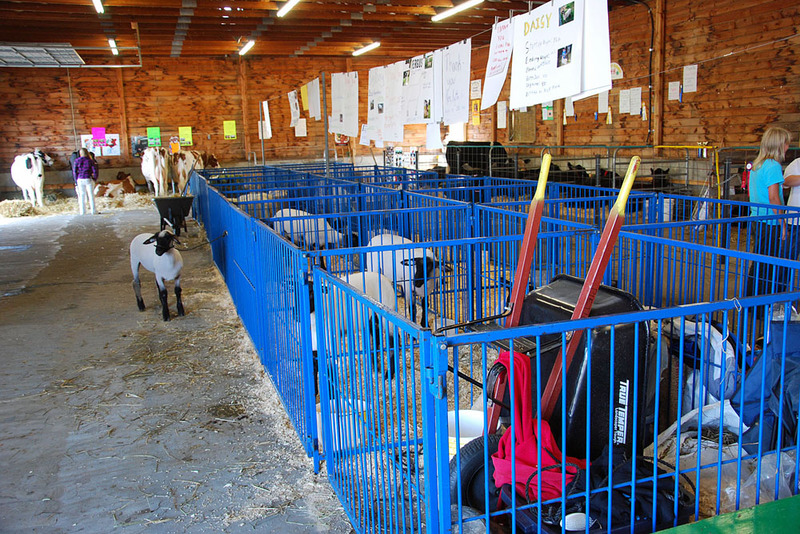 The sheep and lamb area. 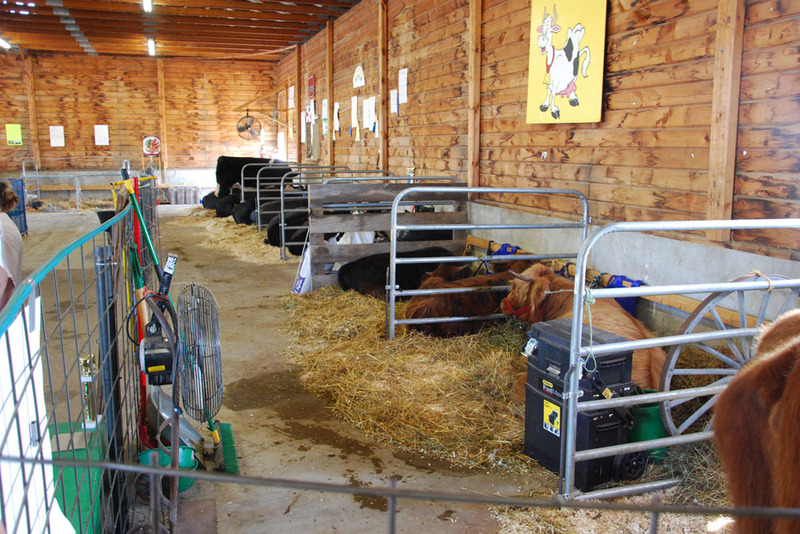 And the cattle barn area. 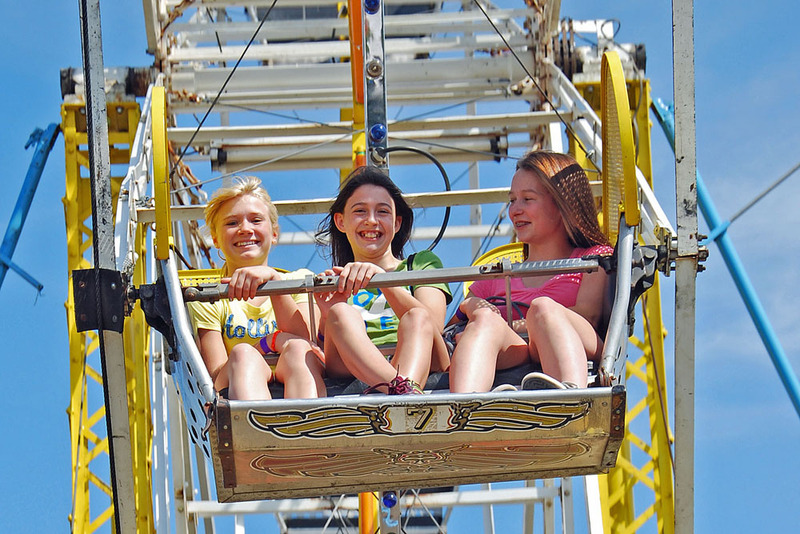 These gals enjoy a Ferris Wheel ride on a beautiful Friday at the Fairgrounds. 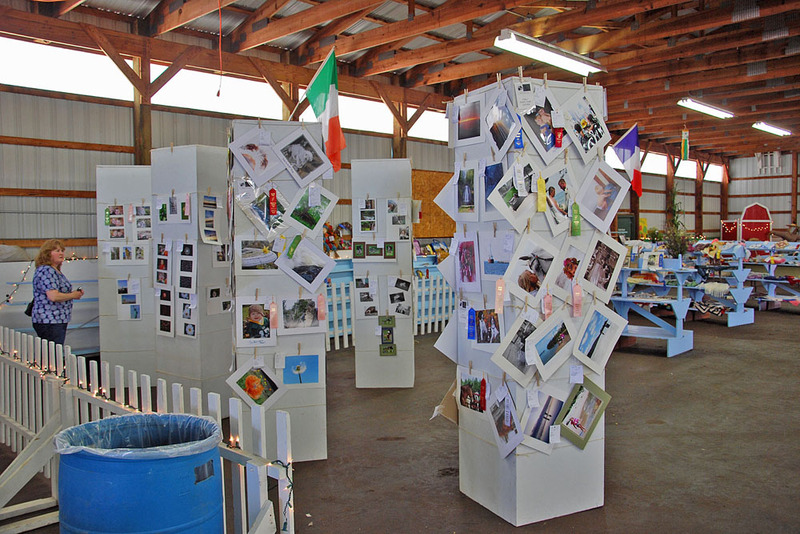 This is the 4H Youth building, hosting a number of exhibits, always a popular crowd visitation area. 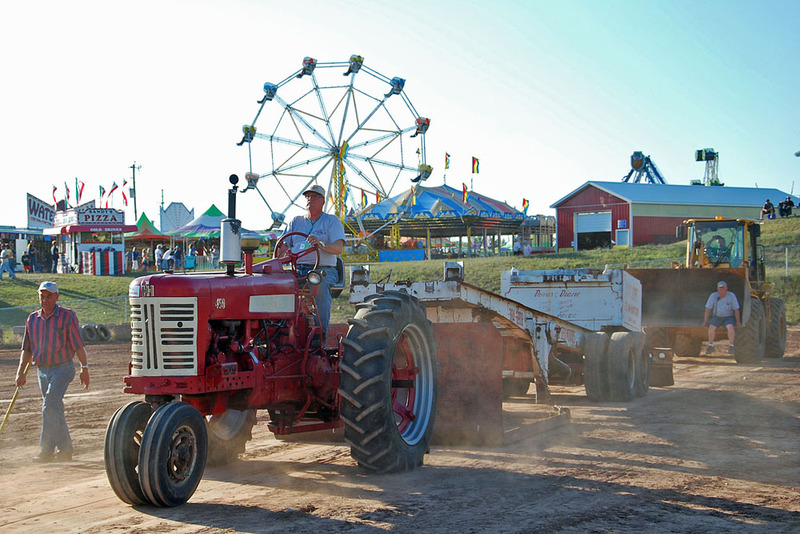 Friday evening brings the Farm tractor Pull Event, bringing more and more tractors to the Fair for a shot at winning the various classes of competition. Here, Howard Junkin, of Boston Location, wins his class event with a long pull. 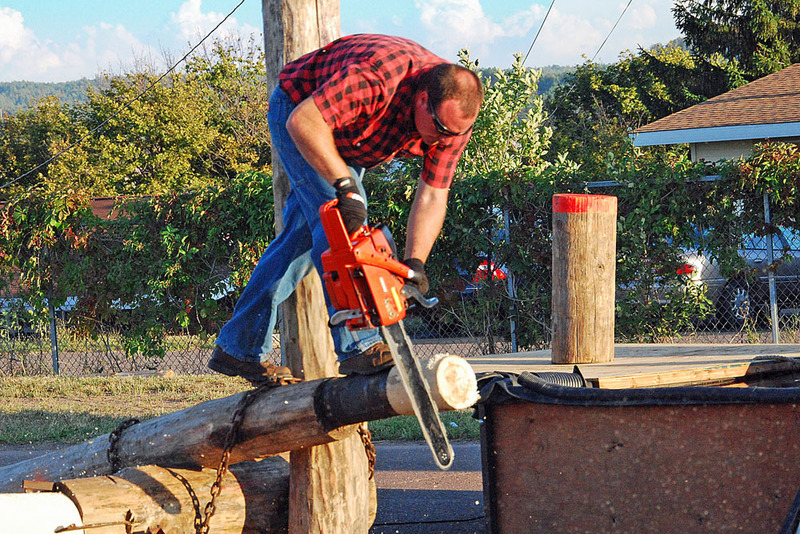 Performing throughout the Fair, were the All American Lumberjack Show, in the Midway arena. The youngsters all made it a point to visit the Whispering Pines Mobile Zoo, with many strange and exotic species of animals from around the world, including opportunities for rides on a camel. 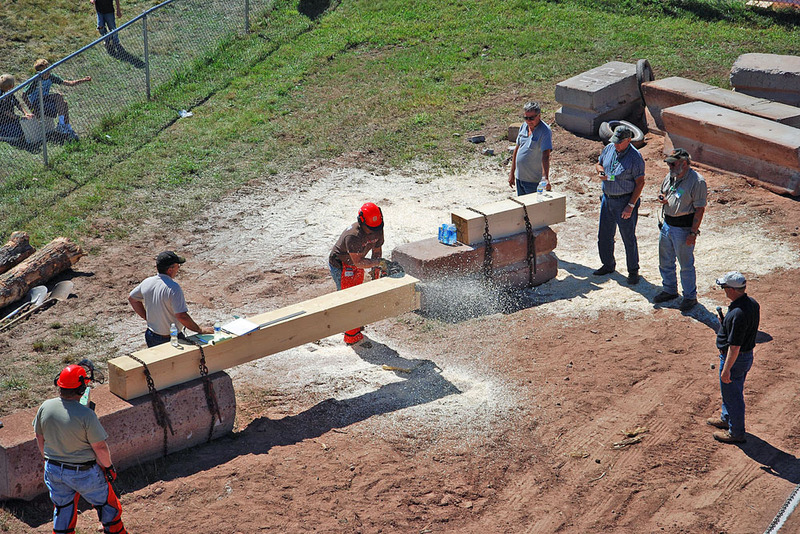 Saturday afternoon, in the Main arena, brought a return of the Local Logging Show and Competition, after a hiatus of some years. The Show was resurrected and sponsored by Wards Husqvarna, of Dollar Bay. 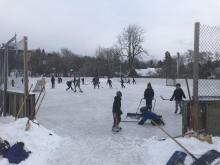 It was a great event, and hopefully it will continue. Saturday night was the Monster Truck Show, always a huge crowd favorite. 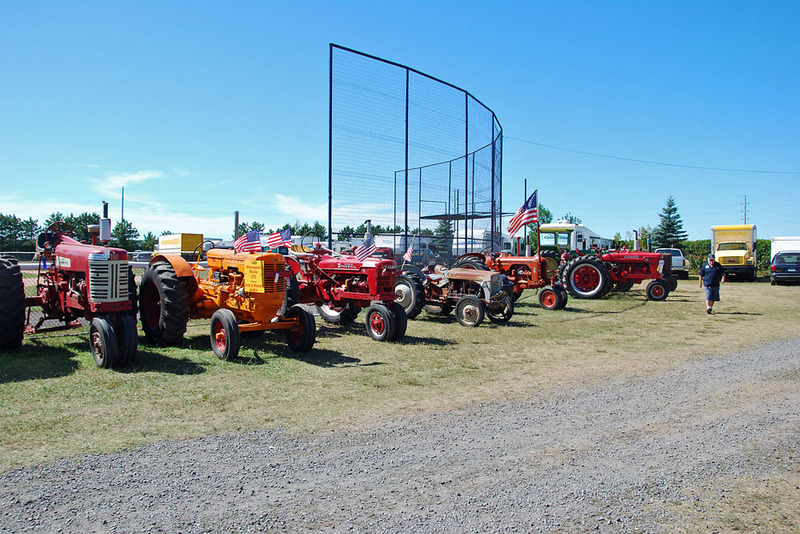 The Vintage Tractor display area, brings many older (but still running) tractors, including some from the 1930s. 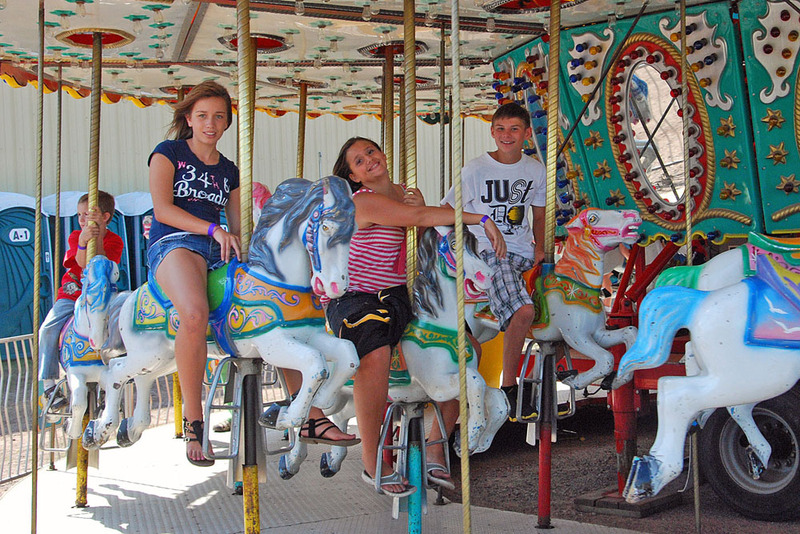 The Merry Go Round also provided entertainment for many. The Livestock Auction is always a poplar venue. The Grand Steer, owned by Karena LaTendresse, weighing 1,476 llbs., was sold to Econo Foods (bid by Larrry Schoaff, holding plaque). 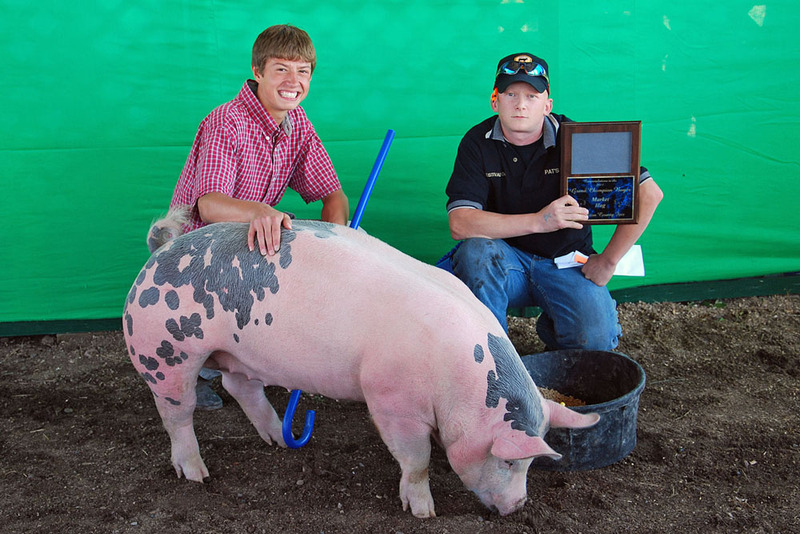 The Grand Hog was purchased by Pat's Foods (bid by Jack Campbell, of Pat's Hancock Store, with plaque). The animal was owned by Jacob Colling, and weighed in at 277 lbs. 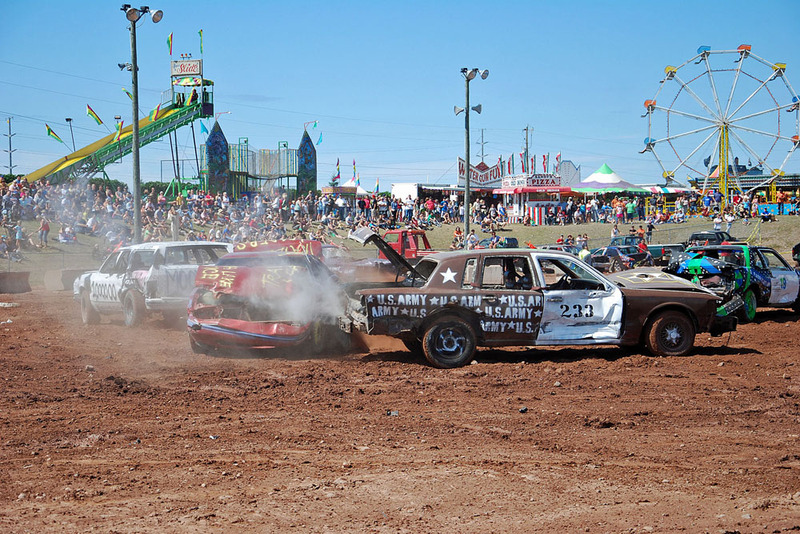 And finally, on Sunday afternoon, the Demolition Derby was held in the Main Arena. 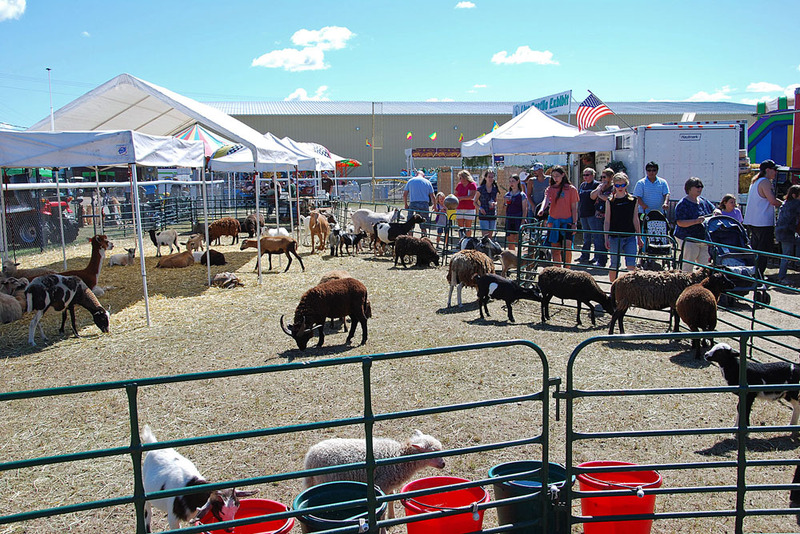 Join us next August for the Houghton County Fair.